Are you expecting a little Irish lad or lassie in March? Maybe close to St. Patrick's day? 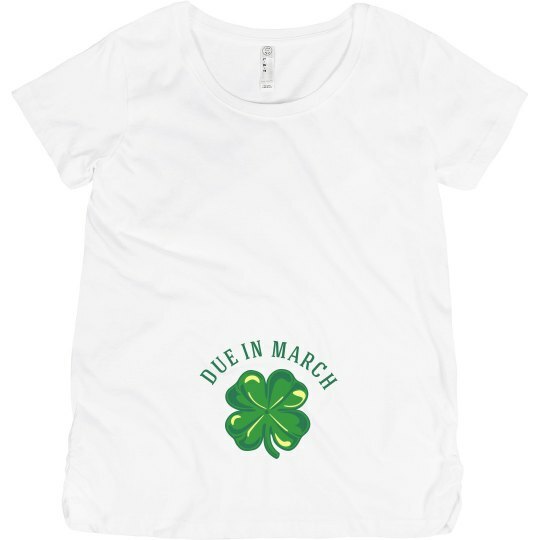 Get this cute shamrock maternity shirt to let everyone know you're little Irish baby is due in March! Lucky mom to be!